A number of animation festivals are taking place in August, to the delight of fans of animation and comics. 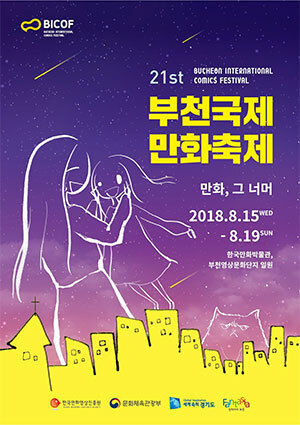 The 21st Bucheon International Comics Festival will run from Aug. 15-19 in Bucheon, Gyeonggi Province. An exhibition of comics will be held with a comic-related fashion show on the festival's opening day. Clément Oubrerie, the French writer of the graphic novel "Picasso," will hold a conversation with readers on Aug. 18. The Gyeonggi International Cosplay Festival will be held from Aug. 18-19. There will be many events including autograph-signing sessions with popular cartoonists, beauty and comics-related talk shows, and a flea market for comic books. The 22nd Seoul International Cartoon and Animation Festival will open at the Dongdaemun Design Plaza in the capital on Aug. 23 for a four-day run until Aug. 26. The opening animated film is Japan's "Let Me Eat Your Pancreas," based on the novel of the same title.